Setting healthy weight loss goals is a key element to the success of any weight loss program. If you’re looking for weight loss tips in Chattanooga , a physician at a weight loss center near you can help you develop a weight loss program that allows you to meet your personal weight loss goals. Realistic weight loss goals allow you to make a smooth, easy transition into a much healthier lifestyle. The physician at your weight loss center should encourage you to focus on weight loss goals that start with simple, necessary steps towards achieving your ultimate goals. This may include making a small change to your diet, or exercising for a certain amount of time every day. These initial weight loss goals will help you change your habits in a way that is crucial to your success in losing weight. Once you have consistently met these initial weight loss goals, you and your physician will develop a new set of goals. These weight loss goals should be specific, attainable, measurable, realistic, and trackable. The best weight loss programs encourage you to set both long term and short term weight loss goals. What Makes a Summer Cold? Have you ever caught a summer cold? You’ve probably heard sufferers complain that they are worse than colds at any other time of year. Is that true? If not, what makes us perceive them that way? In Chattanooga, TN, colds induced by allergies are common because of our many trees and flowers. Is a summer cold different than one of these allergy colds? If so, what causes them and what can we do about it? ​ How does a cold work? Since colds are different from seasonal allergies–which we’ll look at in a minute–it’s good to understand how they work. First of all we need to undersand that a true cold (not “sinuses” or allergies) is caused by a virus. Just like any virus, it needs a place to live that is conducive to it growing and thriving. The common cold , then, is cuased by a virus (often a virus called rhinovirus) that lodges in the nose lining and starts to reproduce. 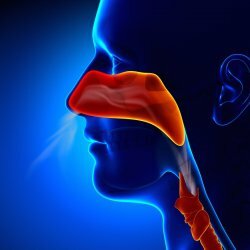 Your body reacts to this reproduction by engaging the immune system, which triggers blood vessels in the nose to become inflamed and the sinuses to produce mroe mucus. As the days pass, your mucus thickens with dead cells, which is what causes the change in color from clear to white to yellow or green. After about 14 days, your body is able to eleminate the virus, and you are well again! A summer cold, just like a winter cold, is also known as the common cold. Both are caused by a virus and not allergies, as we said above and as your Chattanooga, TN chiropractor will tell you. 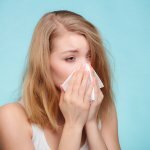 Colds resulting from seasonal allergies or hay fever have a few characteristics that differ from the common cold so that you can tell the difference. Take the comparison chart in this WebMD article for example . The easiest way to tell the difference between hay fever and a real cold is duration—colds usually don’t go longer than 14 days, while allergic reactions to pollen can last anywhere from a day to more than a month (however long you are in contact with the allergy trigger). Since the Chattanooga common cold is caused by a virus that infects your nose and throat, it can take a few days for it to incubate before you start seeing symptoms. And those symptoms are different than hay fever—not much watery eyes or sneezing, but lots of nasal congestion and coughing. Colds are contagious whereas hay fever is not, so if you’re around someone with a cold, it’s best to wash your hands a lot. This Medical Daily article points out that summer colds are most commonly passed during flights because of close contact with up to 400 other passengers. And since viruses grow in a cold nose, the recirculation of air conditioning in any setting (airplane, office, home) makes summertime just as much a culprit for spreading colds as the cold weather in winter. And while summer colds are not as common as winter colds (due to the warmer weather), many say summer colds are actually worse than winter colds. 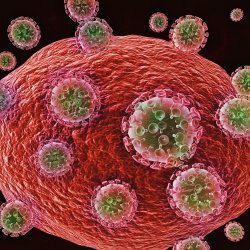 This is becuase the virus type that passes around in summer is different than the one that typically goes around in winter–the winter cold is usually caused by a rhinovirus , while the summer cold is usually caused by an enterovirus . Who knew? Your Chattanooga, TN chiropractor has probably given you a few tips about how to deal with a cold, whether it’s a summer or winter one, and they probably include rest and cool mist humidifiers, as well as a healthy diet. You might feel like a Chattanooga summer cold is worse than a winter one simply because the weather is nice and you’d like to be out doing things, whereas in winter you are most likely content to remain indoors and let your body heal. No matter when you get a cold, there are a few ways to deal with them. For one thing, this Everyday Health doctor says that the best treatment for a summer cold is rest—something you don’t really want to do when the weather is inviting. Remaining hydrated with water—not other types of drinks—is also a big key. Water keeps mucus loosened so that you don’t get stuck with an infection on top of the cold. You can try other innocuous remedies like zinc lozenges (most effective at the onset of symptoms), nasal saline sprays, and over-the-counter decongestants to help allay your symptoms, but colds simply take their course once you get them. Once your body has fought off the virus in about 2 weeks, you’ve got immunity to that specific virus. Which is perhaps the only comforting thought when you’re relegated to the couch on a summer evening. Have you ever had a summer cold? The best way to avoid a Chattanooga summer cold is to steer clear of sufferers when you see them coming. Of course that’s difficult to do when a member of your household shows up with one, but things like you’ll see in this post will help keep you healthy the rest of this summer—including eating veggies, regular exercise, and getting enough sleep. Have you ever had a summer cold? How did you get to the other side? Did your doctor end up recommending antibiotics because it had turned into an infection? Tell us what you did to battle the cold, and we’ll respond with a comment of our own! Type 2 diabetes affects around 27 million people in the United States. Approximately 86 million additional Americans have pre-diabetes and are in danger of developing Type 2 diabetes. Type 2 diabetes inhibits the body’s ability to use insulin effectively. There are many risk factors that contribute to your likelihood of developing Type 2 diabetes, including weight gain. Losing weight with the help of a weight loss center near Chattanooga can greatly decrease your diabetes risk. Watch this video to find out what symptoms are associated with Type 2 diabetes. If you are worried that you’re at risk of developing diabetes due to your weight, diet, or lifestyle, you should work with a physician to develop a healthy weight loss program that will help you lose weight. Weight gain can affect your body’s overall health, especially the health of your heart. Excess weight puts added stress on your body, and makes it difficult for your heart to pump blood efficiently and effectively. Gaining weight, combined with a sedentary lifestyle and a poor diet, greatly increases your chances of developing cardiovascular disease, diabetes, and suffering from a stroke. If you want to improve your health and are wondering how to lose weight fast in Chattanooga, keep reading to learn more about the heart healthy benefits of weight loss. Natural, healthy weight loss reduces the amount of stress that your heart is under. Gaining weight can cause fat deposits to build up, forming plaque in the arteries, This plaque constricts your arteries, making it more difficult for the blood that your heart is pumping to travel throughout your body. This increases your risk of developing cardiovascular disease and blood clots, and you may suffer from a stroke or a heart attack. Losing weight reduces the fat deposits and plaque buildup, and helps your heart easily pump blood through your veins. Losing weight will decrease your levels of triglycerides and LDL cholesterol. Elevated cholesterol levels in your blood result in a buildup of cholesterol in the walls of your arteries, causing a form of heart disease called atherosclerosis. Weight loss also increases the levels of HDL cholesterol in your body. HDL cholesterol clears triglycerides and LDL cholesterol from your blood, making your heart much healthier. If you want to achieve healthy, all natural weight loss to benefit your heart and overall health, you should visit a weight loss center near you. An experienced weight loss physician will evaluate your health and develop a weight loss program tailored to your health needs and weight loss goals. You will receive nutritional counseling, and exercise and weight loss tips. Losing weight via a healthy weight loss program will significantly improve your physical and mental health. We’re not saying that chiropractic is a cure-all necessarily—but it does have a reputation for healing a lot of ailments, sinusitis being one of them. How can a chiropractor in Chattanooga, TN who works on backs treat a health problem in the face? A Chattanooga, TN chiropractor actually has a few approaches to sinus pain up his sleeve. He can press on your face to adjust the sinus cavities and other cranial bones, helping the cavities drain better. He can apply gentle force to certain trigger points to relieve sinus pain. He can even use a therapy called nasal-specific technique to get the job done—but you’d probably like to know more about this one before heading to the chiropractor. Sinusitis is essentially another word for “sinus infection.” You know, that stuffy feeling in your nose that comes with allergies or a cold. You see, what happens is that when your sinus cavities—normally filled with air—become blocked by fluid (from an allergic reaction or because of a cold), bacteria, viruses, and fungi tend to grow. And you end up with an infection in those cavities. The inflammation and swelling that contribute to blocked nasal passages are located in the lining of the sinuses. When these linings become inflamed and viruses grow, you’ve got a case of sinusitis. Sinusitis is actually quite common— WebMD says that 37 million Americans get it at least once a year. But some people develop what is known as chronic sinusitis, which is sinus inflammation lasting longer than 8 weeks. It’s actually quite difficult to treat with mainstream medication, so many sufferers of chronic sinusitis turn to chiropractic in Chattanooga, TN for homeopathic help. And they find something called the nasal-specific technique. Even though a chiropractor’s main focus is on the spine, he also been trained in techniques that can help the sinuses drain better. One of these techniques is very hands-on and involves contact with the sinus cavities themselves. 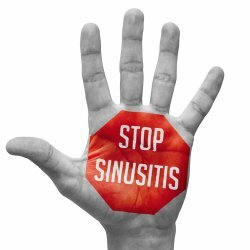 It is a safe practice in the hands of an experienced Chattanooga, TN chiropractor and can be quite effective for long-term sufferers of sinusitis. In the nasal-specific technique, the chiropractor inserts small balloons into the sinus cavities through the nose and slowly inflates them. The goal of this inflation is to expand your sinus openings and allow excess fluid that has become stuck in the inflamed cavities the chance to drain out. Once the balloons reach a certain point of inflation, they are removed and the patient usually experiences immediate relief from sinus pressure. In this article , you can read about some patients who found relief through the nasal-specific technique. Obviously, the nasal-specific technique is helpful because it drains the nasal passages when nothing else can. Although this procedure is somewhat “intrusive”, it does not require any type of incision or medication. It is not painful. In fact, there are so many positive side effects that one wonders why more patients don’t seek it out for relief of sinus pressure. In this detailed post , we find out that nasal-specific technique generally leads to the ability to breathe more clearly, increased energy, sharper memory, even an increased sense of joy (mostly from the end of chronic pain!). Do you need some sinus relief? Try the nasal-specific technique with your Chattanooga, TN chiropractor. Have you ever received nasal-specific technique? If you’re a Chattanooga resident, you might suffer from the seasonal allergies common to Tennessee. But if you have sinus pressure that has gone on longer than 2 months, you are probably looking at a condition of chronic sinusitis. The good news is that chiropractors have a variety of ways to approach this condition, as seen in this post , so don’t hesitate to visit one as soon as you can. Have you ever been diagnosed with sinusitis? 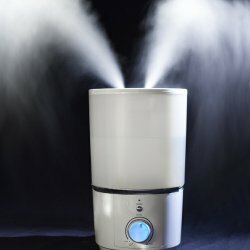 Have you ever received the nasal-specific technique to treat your sinus pressure? We want to hear your experience—did the technique give you relief? Leave us a comment below! If you aren’t losing weight despite eating well and exercising regularly, you may be suffering from a hormonal imbalance. Certain medications and medical conditions can cause a hormonal imbalance that may make weight loss very difficult. Visiting a weight loss center near Chattanooga can help you determine if a medical problem is to blame, and can develop a healthy weight loss program for you. Hormones are key to a number of the body’s prime functions, and control how the body responds to food, exercise, sleep, and stress. They also regulate your metabolism, and can change they way your body converts food to fuel, as well as how hungry you feel, and how much motivation you feel to exercise. If your hormones are imbalanced, you may feel extremely hungry all the time and have very little energy. This may cause you to consume too many calories to lose weight, or make you want to avoid exercise, resulting in weight gain, or difficulty losing weight. There are a number of medical conditions that can cause hormonal imbalances, weight gain, and make it difficult to lose weight. This includes hypothyroidism, or an underactive thyroid. Hypothyroidism slows your metabolism, making it very difficult for you to burn more fat than you store. Polycystic ovary syndrome is a disease caused by a hormonal imbalance, and causes irregular menstrual cycles, excessive facial hair, and weight gain. Cushing’s syndrome is a disease that causes the adrenal glands to produce excess cortisol, which prompts the body to store fat around the midsection. If you believe you are suffering from a hormonal imbalance that is affecting your ability to lose weight, you should visit a physician at a weight loss center near you. Your physician will do tests to determine what your hormone levels are. You will also be given nutritional and weight loss counseling. You and your physician will design the best weight loss program for you and your condition.